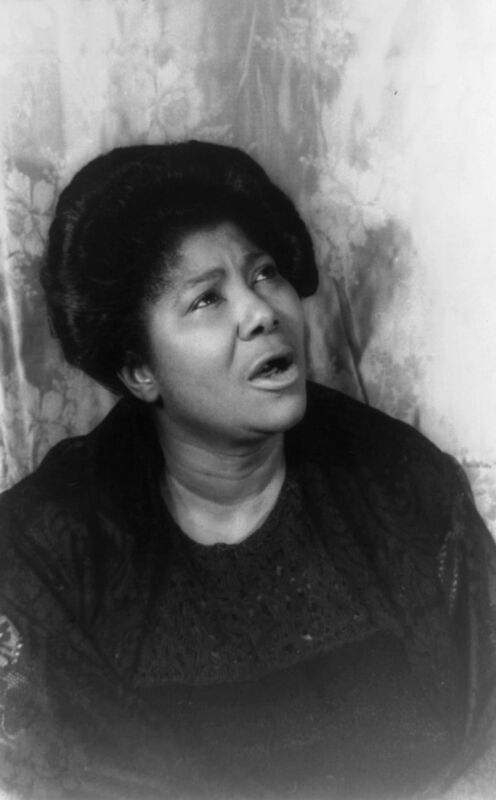 Mahalia Jackson sunrise 10/26/1911 New Orleans, LA, sunset 1/27/1972 Evergreen Park, IL. Singer, songwriter, actress, civil rights activist. Toured with Thomas A. Dorsey, Father of Gospel Music. Sang Take my hand precious Lord at Martin Luther King’s funeral.